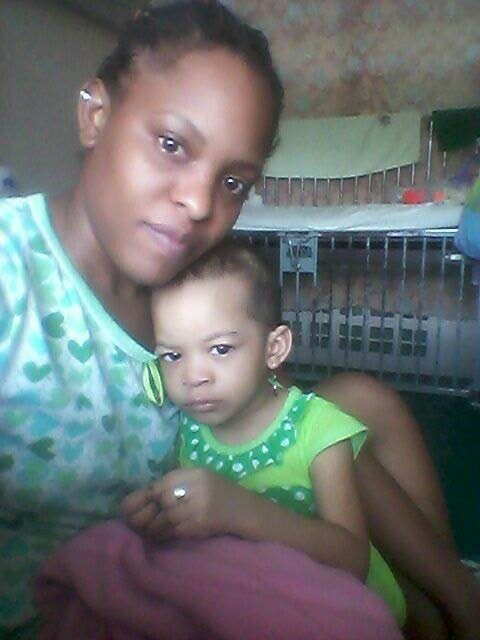 AT HOME: Asha David with her daughter Arabella Beharry who was discharged from Mt Hope Hospital on Tuesday and is now relaxing at home. Hours after attorney Chelsea John threatened to file an action in the High Court to force the North Central Regional Health Authority to discharge a two-year-old girl from hospital, she was released into the care of her mother late Tuesday. Arabella Beharry was warded at the Eric Williams Medical Sciences Complex on August 13, suffering from a rupture to her bowels after being beaten by a woman who has since been charged and is before the courts. After several surgeries, Arabella recovered and her mother Asha David yearned for the day when her daughter would be discharged. However, when she enquired why it was taking so long for her daughter to be discharged, she was told the Children’s Authority, as well as the North Central Regional Health Authority, were pursuing an investigation into the beating and this would take some time to complete. David said she found it strange the two bodies were preventing her daughter from being discharged and sought legal advice from attorney John. On Monday, John said she was in the process of filing an application because the actions of the Children’s Health Authority and the North Central Regional Health Authority were illegal.On Tuesday, the child was discharged from hospital into her mother’s care. Yesterday, David said she felt relieved at having her child back home. She said that when Arabella got home, she ran straight into the arms of her grandfather then asked for something to eat. David said her daughter slept soundly on Tuesday night and the following morning, awoke and asked for her sister Anaya, seven. Anaya, who was staying with a relative, is expected to return home today to be reunited with her baby sister. Reply to "Baby Arabella discharged from hospital"